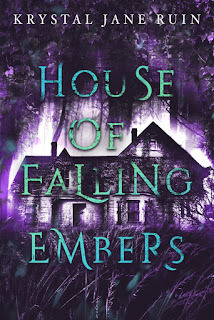 Ursula, her mother, and her brother go to Paris, then London in 1893 to see some European sights, meet some European nobles--and to find Ursula a husband, preferably with money and some kind of ancient noble title. Ursula is a fictional addition to the many women who did this exact thing in the Gilded Age--they were known as Dollar Princesses or the Buccaneers. 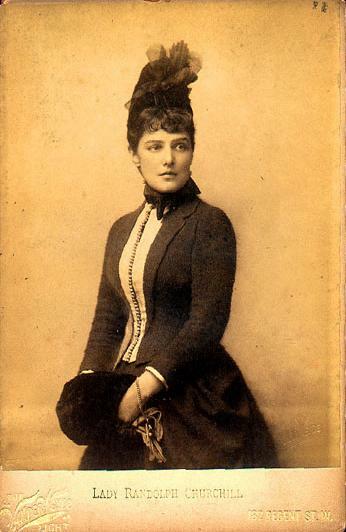 One of the most famous of these transatlantic marriages is that of Jennie Jerome and her husband, Lord Randolph Churchill, who had two sons together, the eldest being Winston Churchill. Jennie was born in Brooklyn, New York on January 9, 1854, the daughter of financier Leonard Jerome and his wife Clara Hall. Jennie had two sisters, Clarita and Leonie. Jennie met Lord Randolph Churchill, son of the 7th Duke of Marlborough, in 1873 at the Isle of Wight regatta; they were introduced by the Prince of Wales. Lord Randolph and Jennie married at the British Embassy in Paris in 1874. 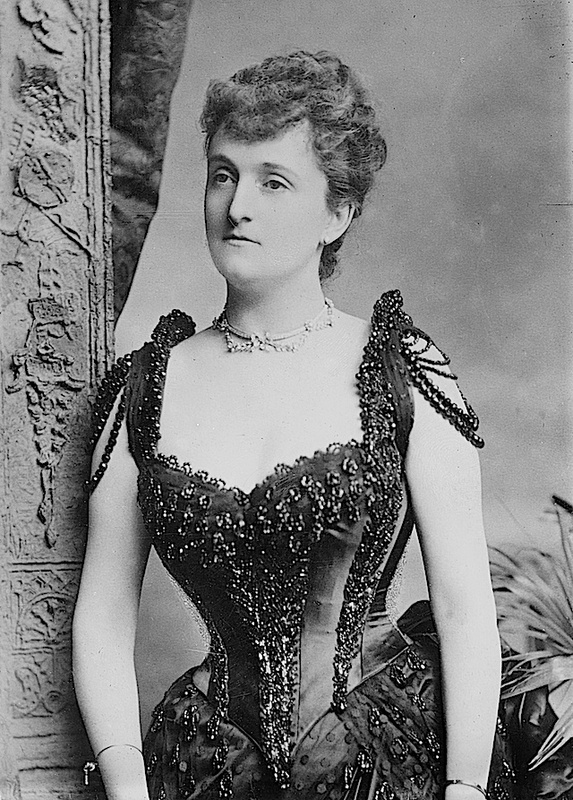 Jennie became known by the title Lady Randolph Churchill. Jennie helped Randolph enormously in his political career. They both had numerous affairs during their marriage, which resulted in Randolph contracting syphilis. He died at age 45 in 1895. Jennie remarried twice after. The daughter of a Cuban diplomat and a Louisiana plantation heiress, Consuelo Yznaga was born in 1853. In 1876, she married George Montagu, Viscount Mandeville, in New York and they settled on his estate in Ireland. They had a son and twin daughters. Lord Mandeville eventually inherited the title Duke of Manchester. Her friend Edith Wharton immortalized her in the unfinished novel The Buccaneers as Conchita Closson. 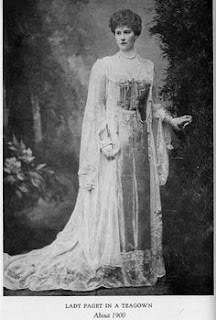 Probably one of the more famous of these marriages, Consuelo Vanderbilt was the daughter of William Kissam Vanderbilt, a railroad millionaire, and Alva Smith. She was named for her godmother, Consuelo Yznaga. Born in New York in 1877, Consuelo was raised under her strict mother's eye. Alva (with the help of Minnie Stevens, Lady Paget) introduced her daughter to Charles Spencer-Churchill, the 9th Duke of Marlborough. Though both the duke and Consuelo were in love with other people (Consuelo was prevented from receiving the letters of the man she was in love with. When she tried to elope, she was locked in her room, then told that Alva was deathly ill over the incident, so she gave in to her mother's wishes). 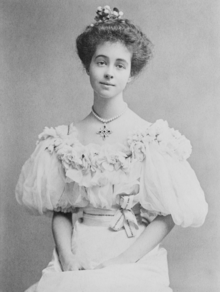 Consuelo married and became the Duchess of Marlborough in 1895. The couple had two sons and Consuelo's fortune helped the Duke maintain his huge Blenheim Palace. She was involved in many charitable endeavors, but the marriage never worked and the couple separated in 1906, divorced in 1921, and their marriage was annulled in 1926. Consuelo remarried to Jacques Balsan in 1921 and wrote her autobiography, The Glitter and The Gold, published in 1953. Mary Leiter, the daughter of Marshall Fields retailer Levi and Mary Leiter, was born in Chicago in 1870. She was well-educated and charming and made her debut into London society in 1894. She met George Curzon, who was a Member of Parliament at the time, an heir to a barony, and known as a writer and politician. They married in 1895, eventually had three daughters--George Curzon was ennobled as Baron Curzon of Kedleston and made the Viceroy of India, making Mary the Vicereine of India, holding the highest official title an American ever held in England up to then. They sailed to India, where she set up hospitals, schools, and promoted Indian industries, particularly in textiles. 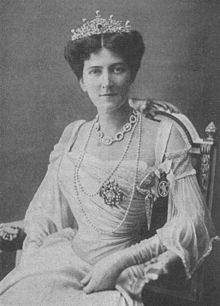 She hosted English visitors (including the King), but her health began to fail and Curzon resigned his position in 1905 so they could return to England. She died in 1906, aged 36. Born in 1853, Mary "Minnie" Stevens was the daughter of hotelier Paran Stevens and his wife Marietta. She went to England in 1872, having inherited her father's large fortune and married Captain Arthur Paget, heir to the Earl of Anglesey, in 1878. She later became known as the matchmaker of rich American girls to impoverished English aristocrats. I wonder if Ursula has met her? I wonder how they felt "exchanging" their money for a title and position in society? Based on the numbers of unhappy marriages...it doesn't look like it worked all that well for many of them. Apparently, when one American heiress married a fellow American, the American press was super enthusiastic about it. People were pretty interesting back then. I've toured one of the Vanderbilt residences a few years ago. Pretty crazy digs. The library was just like something out of Beauty and the Beast! Though, if the beast was real, I'm sure he would have been snatched up by a corseted Dollar Princess. Such a great thing to call them!! Oh, that's so cool, Krystal. Was it huge? Ostentatious? Oh my gosh, it was really pretty, but so ridiculous! Except for the servant rooms, of course. They were plain. But the main bedrooms were so big, they made all the normal-sized beds look like little munchkin beds. I can't imagine being a nanny and playing hide and seek in something that big. There's a book called How To Marry An English Lord that's all about women like these. Plus, Cora on Downton Abbey is one of them, too.